Rebooting a property is often seen as the best way to kick start a dead franchise. Other times, however, it just seems like beating a dead horse. Guess which way this reboot goes. Fantastic Four tells the tale of five young geniuses that construct a machine that can teleport matter into a different dimension. After they themselves try to cross over, something goes terribly wrong, and their lives are changed forever. Fantastic Four is a bland journey that starts off slow and gets less and less interesting as things progress. The premise is a clever one, but the movie itself never gets high enough off the ground to fulfill its potential. Fantastic Four actually starts off looking like a sci-fi film. Sure, it looks like a slow-paced one, but it seems like it’s building towards something interesting. It takes a more science-based approach to the whole superhero thing, and that’s pretty cool. There are elements randomly scattered throughout the story that feel like they have no place being there. There’s a hint of military drama, and even a little bit of a horror aspect at one point. While these things don’t typically belong in superhero movies, they work as some of the film’s best parts. They show us that superhero flicks don’t always have to stick to a formula. 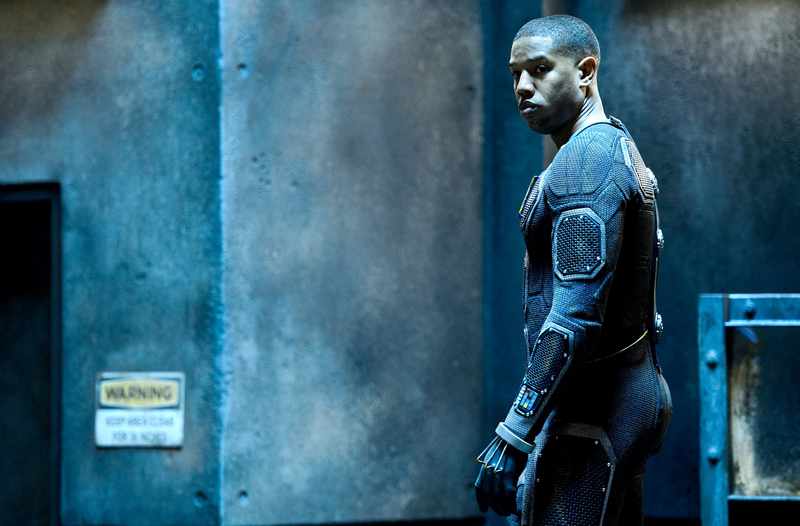 Michael B. Jordan as Johnny Storm. While the performances in this movie aren’t great, the actors and actresses are clearly working hard to try to break through a bad script. Michael B. Jordan is most notable in this effort. It’s hard to see his character on the screen interact with his environment and not have a little bit of fun. The movie kind of plays out in a “before and after” kind of way that really brought any intrigue I had in it to a screeching halt. It takes a WHOLE HOUR out of the film’s two-hour runtime to get to the Fantastic Four’s actual origins. The first half of this movie (before powers) is paced as if it belonged in a three-hour sci-fi movie where each act would be an hour long. However, the second half (after powers) is paced as if it was the third act in a 90-minute superhero movie. It’s pretty crazy to think of a movie that doesn’t have any sort of second act, but it would’ve at least been cushioned by some continuity. The problem with a movie split into only two acts is that the first and second half feel completely different. The characters that come out of the second half are not the same ones we knew in the first half. Everything from pacing, characters, and even tone changes halfway through, and none of it is for the better. There’s no sense of purpose to the second half of this movie. 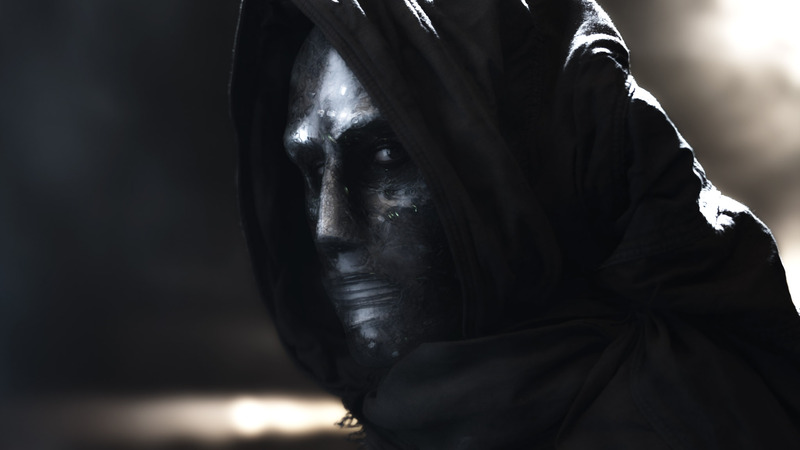 Toby Kebbell as Victor Von Doom. Of course, the only thing that shakes the story out of apathy is the villain that appears out of nowhere in the last 20 minutes. He poses no discernible threat to the team and his motivations are unclear. He’s not a character; he’s an event, and a pretty boring one at that. There are people who will say he’s a bad villain because he doesn’t look like his comic incarnation. That’s true, but it’s not his main fault. His main fault is that he’s totally boring and doesn’t even play a big part in the movie. Like many other superhero villains, he feels like an afterthought. A bad villain would be a bit more forgivable if the titular team was any sort of entertaining. However, the Fantastic Four have no chemistry together. There’s no team dynamic, and the conflict between them doesn’t build up tension at all. As a matter of fact, the four barely even interact with each other after they get their powers. All of this leads to a super underwhelming climax. There’s no sense of accomplishment when the team inevitably pulls together, and there’s no sense of joy when they win a battle that barely lasts five minutes. Also, a word to all superhero films: stop giving us scenes where the characters give themselves codenames. It’s really lame. Fantastic Four is a boring superhero/sci-fi film that misses almost every mark it aims for. There are brief glimpses of a good movie here and there, but they’re never given enough time to break through and make something good out of something so bad. If you really have your heart set on going to see an action movie this weekend, you’re better off going to see Mission: Impossible again. What did you think of Fantastic Four?